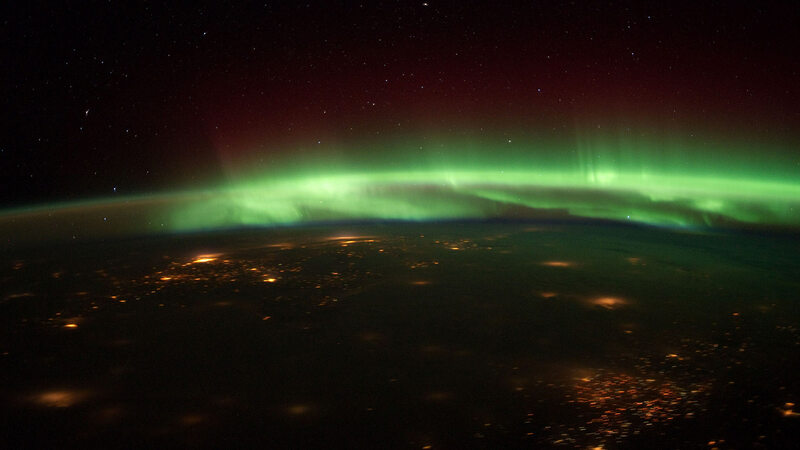 The Aurora Borealis dances over the U.S. Midwest Jan. 25, 2012, from the vantage point of the International Space Station. Days after OSIRIS-REx arrived at the asteroid Bennu, space scientists are awaiting news from the next interplanetary explorer with University of Arizona connections. The Parker Solar Probe is measuring the solar system's environment near the sun. Three researchers with the UA Lunar and Planetary Laboratory are among the scientists working on the project. Research associate Marcia Neugebauer says the satellite is sending back information about the solar wind, a flow of energetic particles emanating from the sun that is only now becoming understood by scientists. "We've learned the solar wind is always there, but it's not always the same," said Neugebauer. The satellite is named after solar scientist Eugene Parker, and Neugebauer notes it has begun proving theories about the solar wind Parker first proposed in the 1950s. "It was supersonic, it was going at about the speed Parker predicted," she said. The solar wind interacts with the Earth's atmosphere to create the Northern Lights and a similar aerial display in the southern hemisphere. The Parker Solar Probe is expected to keep relaying information about the sun for the next seven years.